Kat joined CPAGS during her first year at Alliant International University, Sacramento, as a Campus Representative. She now serves as Chair after five years of service in roles like Division VIII (Neuropsychology) Student Representative, CPA PAC Board of Trustees (Student), and student leadership at the regional chapter level (SVPA). She has enjoyed collaborating with other students to help design events and activities for students to grow and widen their skills and professional network. She has co-chaired two student research conferences in Sacramento, hosted various speed mentoring events, guest lectured, and advocated at the last five CPA Lobby Day events. Kat's clinical training includes specialization in neuropsychology and treatment of anxiety. She completed her internship at San Mateo Medical Center and is now completing her post-doctoral fellowship at Sports Concussion Institute, Inc. in Los Angeles where she will prepare for board certification. Kat looks forward to encouraging and supporting students toward a brighter future this year. Sean is a fourth-year Psy.D. student at The Wright Institute in Berkeley, CA. He uses he/him/his pronouns and identifies as a genderqueer, gay male assigned at birth. Sean’s prior involvement with CPA/CPAGS includes lobbying in Sacramento with CPA CEO, Dr. Jo Linder-Crow, and CPA board member Dr. Janet Hurwich on CPA Lobby Day 2017 and 2018; holding the position of CPAGS Diversity Chairman on the 2017-2018 CPAGS Executive Council; and attending CPA Convention 2017 and 2018, at the latter of which Sean was presented with one of two Bronze Psi awards recognizing excellence in service of a psychology graduate student to CPA. Beyond CPAGS, Sean has been involved in leadership roles at a national level as well; throughout the 2016-2017 academic year, Sean acted as an APAGS campus representative for The Wright Institute, and he has been one of seven sitting members on the APAGS Committee on Sexual Orientation and Gender Diversity (CSOGD) since the spring of 2017—representing and advocating for the best interests of LGBTQ+ psychology graduate students, clients, and community members alike, nationwide. Sean’s clinical interests include working with the LGBTQ+ and emerging adulthood populations; working with complex trauma, particularly attachment trauma; and fostering authentic identity development in the wake of trauma integration. Sean’s research focuses qualitatively on the lived experiences of self-identified feminine gay men facing femmephobia and marginalization from other gay men within their already marginalized gay male community. 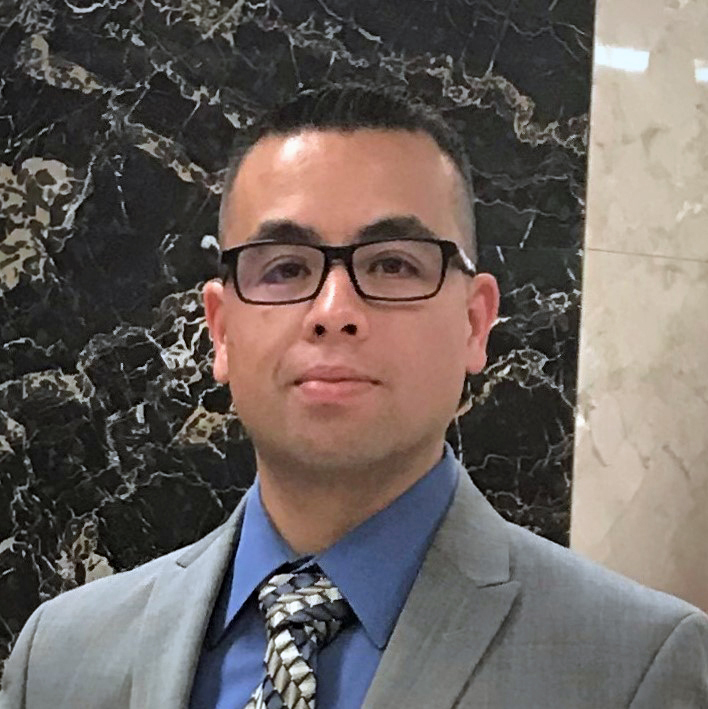 Sean’s intention as Chair-Elect is to utilize both cultural humility and a strong dedication to honoring diversity in our communities to guide and inspire his advocacy efforts, leadership goals, and pursuits to expand upon the mission of CPA and CPAGS. Crystal is a fifth-year Psy.D student from the Wright Institute in Berkeley, CA. She has worked in a myriad of placements as a Psychology Trainee for the past 4 years. Her practicum placements include: psychodynamic individual and group psychotherapy to adolescents through Acknowledge Alliance at Menlo-Atherton High School and Cañada Community college, time-limited integrative individual and group therapy with adults through the Integrated Health Psychology Training Program at Contra Costa County’s North Richmond clinic, individual psychotherapy, psychological assessments, and psychodiagnostic evaluations at San Mateo County’s Behavioral Health & Recovery Services in the Youth Services Center (juvenile hall). Crystal has also worked as a Counselor in crisis and long-term psychiatric facilities through Caminar for Mental Health on the San Francisco Peninsula since 2012. Crystal’s dissertation was completed in May 2018 and was entitled “The Enculturation Scale for Filipino Americans: A Psychometric Investigation and It’s Relationship to Attitudes Toward Help Seeking.” She has also co-lead several workshops/conference sessions/classes regarding colonial mentality’s effect on mental health within the Filipino American community, destigmatizing mental health services, and food insecurity’s effect on mental health. Crystal has been involved with CPAGS since 2014. She served as part of the CPAGS Convention Committee from 2014 to April 2016 and transitioned to the Chair-Elect position in July 2016. She served as Chair of CPAGS from July 2017 to June 2018. In her year as Chair, she focused on transforming the CPAGS Board of Directors to a more effective leadership group and changed by-laws to reflect current industrial-organizational recommendations. She was a recipient of the California Psychological Association’s Bronze Psi award and was an Honorable Mention for the inaugural Asian American Psychological Associations’ Division on Filipino American’s Psychology Scholarship. Crystal will be completing her pre-doctoral internship through the California Psychology Internship Consortium in San Quentin State Prison. Pratima is a third-year PsyD student at the Wright Institute. During the past two years at the Wright Institute, Pratima has been involved in the Social Justice and Advocacy efforts as a student leader. Pratima was on the Wright Institute Multicultural Symposium Committee during her first year and served as a student leader of the Wright Institute Students of Color (WISOC) group during her second year. Pratima is also a co-founder for Wright Institute South Asian Association (WISAA). This year, Pratima will serve on the Wright Institute’s Clinical Program Executive Committee (CPEC) as the Third-year Cohort Representative and on the California Psychological Association for Graduate Students’ (CPAGS) Board of Directors as Treasurer. With her passion and determination, Pratima hopes to continue to work towards the diversity, social justice, and advocacy goals for graduate students throughout the year. As a member of CPAGS’ Board of Directors, Pratima is looking forward to collaborating with graduate students from across the State of California to work towards the CPAGS’ mission statement. 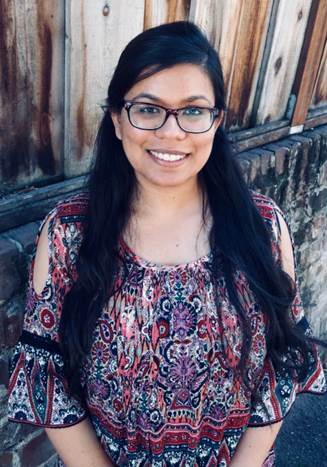 Pratima will act as a liaison for CPAGS and work closely with the California Psychological Association’s (CPA) finance committee for the enhancement of CPAGS’ goals for this year. Laura Nielsen, PsyD is a recent graduate of the Clinical Psychology program Alliant International University in Sacramento. She currently is completing her Post-Doctoral Residency at Sutter Center for Psychiatry working with children and adolescents with severe mental illness on the Inpatient unit. During her graduate school experience, she has been continuously involved with CPAGS, as well as her local CPA chapter, the Sacramento Valley Psychological Association. She enjoys cultivating relationships with folks in the field of psychology as well as the communities beyond. She looks forward to working on her last steps toward licensure this year. She is also excited that CPAGS has a wonderful team working to put on several beneficial events for students this year, and will happily contribute to that effort in any way she can as Secretary. Heidi is a fourth-year Psy.D. student at the Wright Institute in Berkeley, CA. In the past three years, Heidi has been working at various community mental health clinics, serving underserved and diverse populations and providing bilingual therapy for them. Her interests include social justice, bi/multiculturalism, and intersectionality between different identities. Being an immigrant herself, she is particularly enthusiastic about working with the immigrant population, providing the mental health care they need and helping them navigate through different cultural identities. Heidi has been involved with CPA and participated in Lobby Days since the first year of her graduate study. She is very passionate in advocacy work as she believes that it is a social responsibility for psychologists, as well-regarded professionals, to advocate for their clients. Last year, she served as the Communications Chair in CPAGS. She hopes that she can continue getting involved in CPAGS this year as Convention Director to bring graduate students’ work at the CPA Convention in Long Beach. Heidi will be working as a student clinician at the City College of San Francisco this year. Lorenzo just completed his 2nd year as a student at the American School of Professional Psychology at Argosy University- Orange County. He also concurrently serves as a Captain in the Army National Guard. He is currently completing a practicum at a private practice in Newport Beach conducting psychological and neuropsychological testing. He serves as the Graduate Student Representative on the board of the Orange County Psychological Association, Campus Ambassador for the American Psychological Association, Campus Representative for APA’s Division 19: Military Psychology, and the Communications Chair for his program’s Student Association. His interests are PTSD, suicide, and other issues experienced by the military population and he plans on serving this population in his career. He looks forward to supporting the efforts of CPAGS in any way possible, but especially in filling his role as Communications Director. 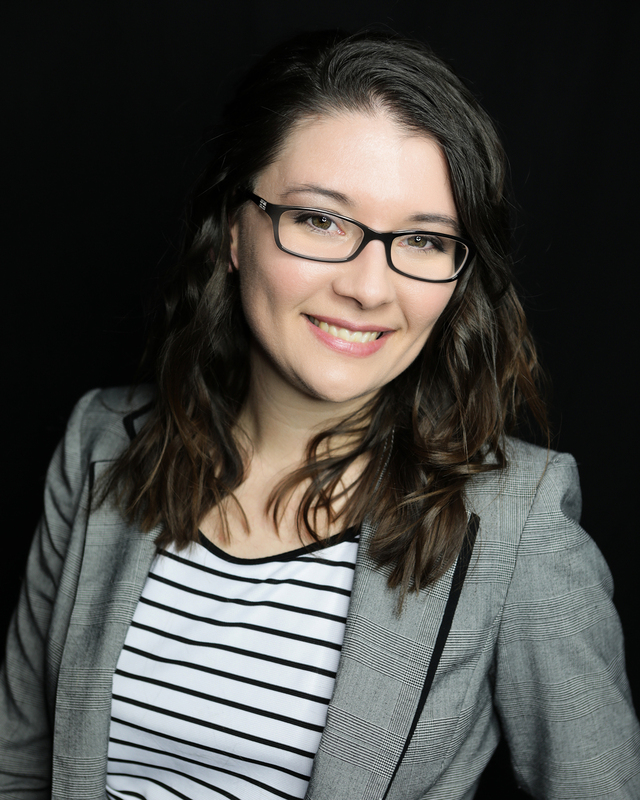 Casey Rasmussen is a second-year graduate student in the PsyD Clinical Psychology program at the California School of Professional Psychology with Alliant International in Sacramento, California. She is currently serving as one of the Student Representatives for the Sacramento Valley Chapter. During her time in this role, she has developed a passion for creating a pipeline for students beginning their journey through secondary education and through their graduate programs. She aims to take this same idea into her new role with as the Director at Large-Advocacy role for CPAGS. Learning to advocate for the Psychological profession, our patients, and even ones’ self, is a skill that needs to be developed. Some people are born with the natural ability to communicate their wants, needs and beliefs; however, most are not. Her goal as the Director at Large-Advocacy for CPAGS is to help students develop their skills in advocacy and finding a comfortable and natural way utilizing their personal strengths. Casey currently works in an integrative health care clinic serving patients with ADHD, Schizophrenia and Bipolar. She is interested in working in end of life care and looks forward to an opportunity to do so. She works hard to serve in her roles with professional organizations and maintain the highest level of academic standards as possible, yet that is not her only focus. As a wife and mother to a young son, Casey makes a strong effort to focus on self-care and balancing all her roles efficiently. Craig M. Grant is currently a third year PsyD student at the American School of Professional Psychology at Argosy University-Orange County. He is actively involved in the psychology community teaching as a college Psychology Professor at a local community college, working in a clinic with an emphasis on Neuropsychology, and participating in advocacy efforts through the APA and other community-based organizations. He will begin his practicum this fall at Augustus Hawkins Mental Health Center in Compton, CA, serving a population that he has a tremendous passion for. His goal, his aim, and his passion lead him toward achieving a goal of acceptance, as opposed to despotism, regardless of race, gender, or creed. As your Director at Large, Diversity and Social Justice, Craig plans to work tirelessly to raise awareness about patient and provider disparities within the psychology community and to advocate for equal and complete access to mental health care. He hopes to work closely with Kat and the other board members to educate the psychology community on issues of diversity and social justice, to provide opportunities for service within our most underserved and under-represented communities, and to advocate for these patients and populations at the state level. Rolando Zuniga is a 3rd-year student working on his Ph.D. in Psychology, and simultaneously working on a Psy.D. program at California Southern University. He is currently a member of the California Air National Guard, and as a distance runner he is passionate about improved psychological well-being through physical activity. His interest are mindfulness, anxiety, and depression. He is actively involved in his local CPA chapter, and he is looking forward to contributing towards increasing CPAGS awareness and memberships.